Book a Leisure Escape and receive a $50/day resort credit toward retail, dining and activities. 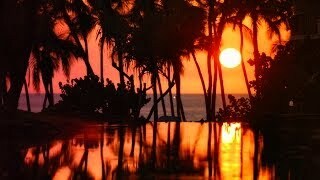 Hilton Waikoloa Village, a magical resort and a world unto itself with canal boats, trams, art from around the world, lagoons, waterfalls, refreshing pools and abundant varieties of wildlife. Come experience a visit to Hilton Waikoloa Village, from an active, fun-filled day to a star-filled, romantic night, and find why many who have discovered Waikoloa return again and again. 2014 Top 50 Family Resort in the U.S.
Hilton Waikoloa Village is happy to be one of the top 50 World's Best Family Resorts in the U.S. for 2014 as voted by Travel+Leisure readers. Hilton Waikoloa Village is a 2014 Top 50 Family Resort in the U.S. Enjoy an evening of culture and history with Legends of Hawaii Luau, Our Big Island Story. From native dances, to a full Hawaiian feast, take part in this must-experience event during your visit to the islands. An experience you will remember forever, Dolphin Quest offers dolphin encounters. This unique opportunity to get up close to our special dolphin friends will touch your heart and mind. The ocean surrounds us at Hilton Waikoloa Village and the Dolphin Quest interactive program is a rare opportunity to come face to face with the ocean's most amazing and intelligent creatures. The Dolphin Quest interactive program is an experience of a lifetime. This dolphin swim is guided by marine mammal experts. Learn about the dolphin's fascinating abilities and gain a personal appreciation for the importance of preserving the world's oceans and its inhabitants for future generations. Discover inspiring island views and unrivaled hospitality in a fresh, modern concept of elegance in MAKAI Oceanside, MAKAI Mountainside or a MAKAI Suite. In a stunning oceanfront setting, KPC offers Hawaii Islandâs most spectacular sunset views. Enjoy cocktails and dine on exquisite, locally sourced cuisine, ranging from succulent prime steaks to Hawaiian seafood specialties. Experience the ultimate in relaxation, rejuvenation and rediscovery, at our luxurious 25,000-square-foot Kohala Spa at Hilton Waikoloa Village. Unwind with an exclusive selection of specialized massages, facials, scrubs, wraps, hydrotherapy treatments. Work out in the fitness center or take energetic exercise class, or take advantage of our expert salon services. Golf at Hilton Waikoloa Village. Enjoy two championship golf courses designed by well-known architects and featuring breathtaking ocean front settings. Book a room today in MAKAI. Enjoy the lagoon at Hilton Waikoloa Village. Hawaii is rich with culture. Experience activities unique to our island home, such as lei making, ukulele playing and hula dancing while staying at Hilton Waikoloa Village. 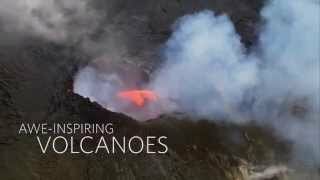 Visit active volcanoes on Hawaii Island by land and by air. See the power of nature in a setting that will be remembered for a lifetime. 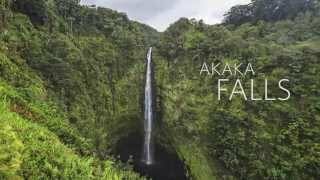 Hawaii Island is rich with lush, tropical valleys waiting to be discovered. From Waipio Valley, known as 'The Valley of The Kings' as it was once the home of King Kamehameha, to Pololu Valley featuring a scenic hike down to a stunning black sand beach! Experience breathtaking valleys on Hawaii Island. This state park is home to two amazing waterfalls, one of which plunges 422 feet into a stream-eroded gorge below. 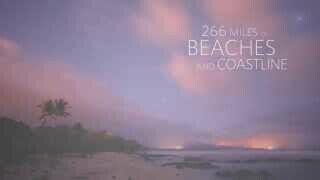 Around Hawaii Island, youâll find some of the most picturesque beaches. From the white sands of Hapuna Beach State Park, rated as a top beach in the United States, to the exotic Punalu'u Black Sand Beach and the sandy Anaeho'omalu Beach â where the sunsets are famous. Explore the beaches and coastline of Hawaii Island.